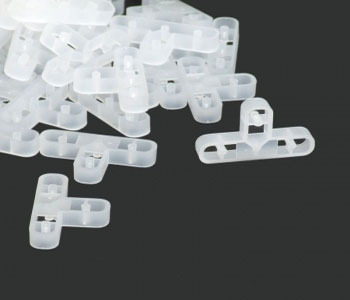 T shaped brick tile spacers, perfect for assisting with the easy installation of our brick slips. Simply leave in place and cover over with your pointing mortar. 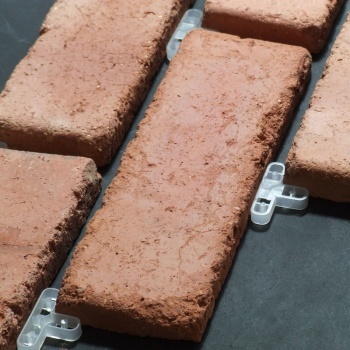 You will use approximately 55 to 60 spacers per Square Metre. So One bag will cover just over 7.5 sq m.